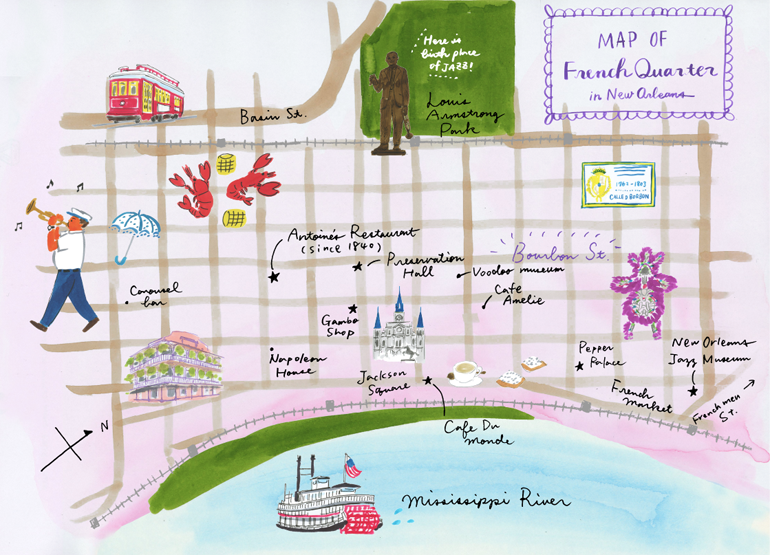 I drew illustrated map of French Quarter (New Orleans) where I’ve been in March, 2018. I drew this with Talens ECOLINE for promotion. I appreciate that they gave me this opportunity.